The Chief Judge of Lagos State, Justice Opeyemi Oke, on Tuesday vowed to prosecute Mr Edward Oseghale, a lawyer, who was nabbed by the police on the premises of the Surulere Magistrates’ Court for allegedly forging a court judgment. The News Agency of Nigeria reports that Oseghale allegedly forged a judgment purportedly given by Mrs Toluwalase Abayomi, the magistrate of Court 4, Surulere Magistrates’ Court. The forged judgment pertained to a landlord and tenancy case. The accused, who was the counsel to the landlord, used the alleged false judgment to evict a tenant. He was, however, caught when the tenant’s lawyer came to the Surulere Magistrates’ Court to verify the authenticity of the judgment. 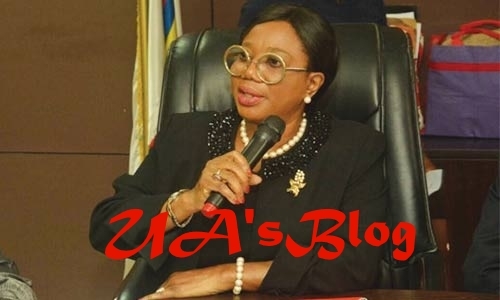 Addressing journalist, the Chief Judge, who was represented by the Chief Registrar of the Lagos State Judiciary, Mrs Taiwo Olatokun, said forgery of court documents was rampant in the state. “The issuing of false judgments, rulings and others have become a source of embarrassment to the Lagos State Judiciary. Olatokun explained that Oseghale was arrested after a defendant asked for the Certified True Copy (CTC) of a judgment from the court. She said, “He (the defendant) produced what he had and it was realised that there is a fake suit number in the document. “The lawyer involved (Oseghale) also had another matter in another court which had the same suit number, but different dates and we also confirmed that there was no such matter before that court. Olatokun said the Chief Judge of Lagos was keen on prosecuting those caught falsifying court documents to serve as a deterrent to others. The Chief Registrar stated that the Chief Judge had introduced the seal on affidavits issued by High Courts to combat the menace of false court documents. “When placed under a light, parts of the seal will turn blue; that will prove its authenticity,” she added.